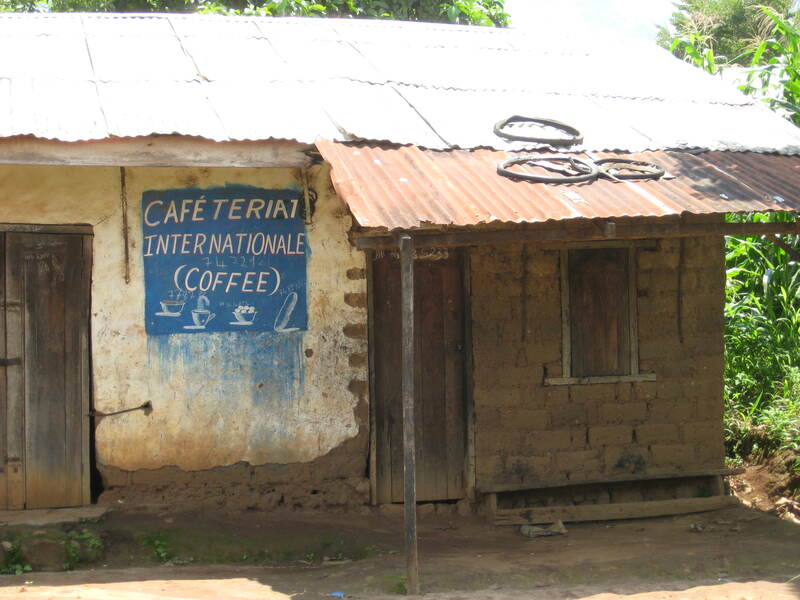 Surely no outsider has ever seen this place, let alone had coffee here. Expat Aid Workers are a brave and daring bunch. Whether it’s roaming the hilly dirt roads of Guatemala, traversing the dry deserts of Niger, braving the crowded rails in India, or joining a revolution in the streets of El Salvador, Expat Aid Workers feel a certain je ne sais quoi knowing that no one from their home country has ever been adventurous enough to experience these parts of the world in the nomadic, non-touristy way that they do. Take that little roadside market on the way back into Managua. It’s very likely, in the Expat Aid Worker’s mind, that no other EAW, probably no non-native Nicaraguan, for that matter, has ever bought roasted corn from that lady with the 3 missing teeth near the used t-shirt stall. Yet the Expat Aid Worker has developed a little ritual with her. When the EAW drives by in the late morning on the way out to the field in the agency vehicle, the corn lady recognizes her and waves! On the return trip, they chat in broken Spanish while the driver is stocking up on fruits and vegetables for his wife at the other stalls nearby. The Expat Aid Worker knows she is really blending in at times like that. It’s her territory, you could say. So it’s no wonder that she’ll look away or stare straight through that American dude that shows up at the little market at the same time. “Oh, your husband?” the corn lady might say. “No no,” the EAW will struggle to explain aloud, “I don’t know him. I’ve never seen him. I don’t know what he might be doing here….” We have nothing to do with one another, nothing at all in common… she will continue in her head… I’m a long-timer. I’ve got field cred. He’s probably a short-term volunteer or a tourist or a consultant, here for a short trip. He probably knows none of your customs. I bet you don’t wave at him when he goes by. He’s likely one of those typical Expat Aid Workers types, tromping around, clueless, feeling uncomfortable and superior to the locals. I’d bet he doesn’t even speak the language or really know any local people except for his driver. I’m the one who’s locally integrated. I’m the one who belongs here, not him! The corn lady might continue to smile at the EAW and point her chin over at the other Westerner, thinking that the two foreigners will acknowledge each other. Nothing doing. They will studiously ignore one another, much to corn lady’s consternation, or in some cases offer each other a nod and a brief, terse smile and look away, just to make the corn lady happy. Humph. These other foreigners, trespassing on the EAW’s own individual and patented experience of adventure and local living. Who do they think they are? Why do the locals assume all white people know each other, or might want to greet one another with smiles and handshakes, treat each other to a portion of roasted corn and explain where they are from and what they are doing there at the roadside market? Really. These locals don’t understand EAWs at all. People in Africa assume whoever comes must speak the language of the colonizers. In rural Kenya, children expect that all whites will speak in English. Some expats have really done more good than harm. Please check our blog http://www.matharevalley.wordpress.com. In this blog we try to bring out the true picture of Mathare slum which expats don’t or will never see. I love this blog, but I’m starting to get a bit tired of the assumption that all EAWs are white!! I’m sure many (most?) are, but still!!! yeah, most are white. It’s the White Man’s Burden, duh! 8 countries; 10 years. The fact of the matter is: most ex-pats are white. I am neither white nor male so I contradict both ‘laws.’ Most of the blogs, forums, etc…. (especially the ones centered around relationships) assume that the ex-pat men are white and the women are local. I am used to it – this is life – but just because I am used to it, does not mean that it does not bother me. Doesn’t mean that I feel welcome, in some sectors. All in all, I feel very much ‘the other.’ It’s my job and it’s my life but it is something that confronts me every day: how foreign I am. In every sense. PS: Any one in Singapore? give me a shout. I’m not a expat aid worker but I’m here. In full effect. This is so true – I am in Ghana – even in the capital city, this happens all the time!!! I for one am a black man. And an AIDS worker. Oops, eh? @non-white EAW: Was this post edited or something? I don’t see anything that assumes, either explicitly or implicitly, that all aid workers are white. It has not been edited. I see where this post is coming from. Because I am not white, there’s a bit of confusion whether I am local or expat and so other expats don’t instantly ignore me nor do locals assume I would know an expat of another skin color. But I have seen this happen over and over with white people. Not being the author, I can’t be sure, but think the assumption wasn’t that all aid workers are white but that this happens to white aid workers. Too true. I was in Peace Corps in Turkmenistan, and we were AFAIK the ONLY organization working with locals outside the capital. * However, there were two small MSF and UNHCR projects in our region which I think worked with Afghan refugees, and man were they standoffish! I know I know, we probably seemed like/were obnoxious young inexperienced punks pretending to do aid work (yet still had more Field Cred because we lived in tiny villages in the middle of the desert with local families, speaking Turkmen all day). But I do remember one situation where I encountered a Landcruiser full of UN folks at the kebab place 15km from my village, which was sort of a rest stop for north-south taxis in the region. I tried to strike up a friendly conversation — “What do you guys do in T-stan? Where are you from?” but they were NOT HAVING IT. To be honest, I was kind of hoping they might give me a lift home in their Landcruiser, so maybe they picked up on this and were intentionally ignoring me. Who knows. In any case, it ended up taking me 2 1/2 hours to find a taxi willing to drop me down the road — had a huge bag of books so walking was out of the question — time well-spent sulking over what jerks UN people are (I should also point out that they barely spoke a word to each other, either, so it’s not like they were busy discussing an Important Project or something). I’ve been blanked a number of times while here in Nepal, excited to spark up a conversation with another westerner my encounters have left me disappointed and confused, I didn’t even get a chance to spark up a conversation as they sped walked past me looking very serious and important. Thanks to this blog, now I understand, pretty funny! It may be pretty safe to assume many EAWs are white, as this kind of work/lifestyle defines “whiteness” per http://www.stuffwhitepeoplelike.com. So very true. My favorite is when you are a noob-expat (as I was last summer) and you expect other “I clearly was not born in Malawi, check out my backpack”ers to at least smile when you wave and/or say hi. Mostly you just get embarrassed blushes and downcast eyes. I have learned that the easiest way to make an expat uncomfortable is to strike up a conversation about sports — “So, do you think the Canucks are going to win the Stanley Cup this year?” Usually they just stare at you, ashamed that they A) know exactly what I am talking about and B) have seen the wasteful extravagance of life in North America. All three, who had been talking to each other before I arrived, proceeded to stare at the bouganvillia and ponder the injustice of global poverty while leisurely paddling around me in the pool. Hilarious! Right on the mark. Especially important is not acknowledging other expats in countries which your country-of-origin colonized. What is that Brazilian doing in Benin? Clearly she/he doesn’t understand the local cultures, or the complex historical relationship between our people and the locals. This blog is generally spot on about a local- international hierarchy. But- a note of caution- at times it sounds dangerously conservative. Elites, realists, and opportunists would love to agree with a lot of this stuff too, not merely more critical types. Ie expats being trendily/ superficially in with local people is an easy joke and a well known cliche: as is chasing status in hq, showing off, etc etc. But what’s the alternative to at least trying to engage with the people you are supposed to be working for/ with while also navigating around the politics of your own organisation, artificial social life ‘in the field’, and distant home life? Should aid workers take on the haughty distance of the colonial administrator? Should they only work with elites and disregard society? Should they not be allowed to have a life on mission? Should they BE local, not just trying to relate to the environment they are in? Should they abandon their home lives completely? Should they simply not be there at all? A lot of people do try to engage and learn about these pitfalls. Let’s have a bit of clarity about the dangers both ways and let’s be careful not to undermine the efforts people make and what good can be done. It’s often people high up in the hierarchy of the aid system, their local elite counterparts and the often lazy people they plant in the system, who need a reality check, and much more so than those lower down who may be struggling to make a difference. During my years in Latin America I’ve always to the knowing, yet disapproving look you and the other foreigner exchange as “The Gringo Stare.” Love this blog! When I first arrived in my post two and a half years ago I was eager to see another ex-pat. But within a short time I developed that whole pointedly ignoring any other western-looking person. I thought I was the only one! Thank you for explaining that this is a common phenomenon. Thank you for this! I was really weirded out the first few times I was treated like a leper for greeting a fellow expat! After 2 years now, I still find it unacceptable to be rude and well, just plain stupid. This bizarre and irrational behavior seems to be based on expats’ competitiveness, superiority complex or denial. I greet all expats I encounter. If they look away, no harm done, and I’m not the idiot who forwent another opportunity to connect with someone with whom I certainly have a lot in common.